With its $99 Radeon R7 250X graphics card, AMD has added another option for those looking to build a gaming box on a budget. The Radeon R7 250X's main sales hook, as noted by Hexus, is “competitive 1080p gaming” for under $100. You won't always get buttery-smooth framerates at that resolution, but AMD benchmarks show newer titles such as Battlefield 4 and Call of Duty: Ghosts clearing 40 frames per second. Specs for the R7 250X include either 1 GB or 2 GB of VRAM at 4.5 GHz, 640 stream processors, 40 texture units, and 16 ROPs. It's a big step up over AMD's R7 250, which is $10 cheaper, though the typical R7 250X card will consume nearly 50 percent more power at 95W. There are a couple caveats, however: The R7 250X is basically a rebrand of AMD's two year-old Radeon HD 7770 GHz Edition card. It uses an older architecture and therefore doesn't AMD's TrueAudio technology, though it will support AMD's ballyhooed Mantle API, which helps boost game performance through software optimizations. 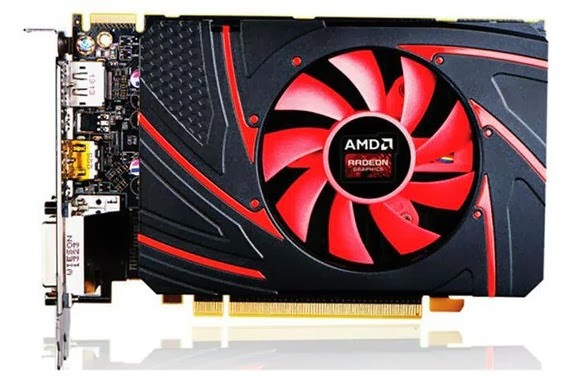 Also, AnandTech speculates that some card makers may pair GDDR3 memory with the 2 GB cards to reach that $100 price point. If that's the case, these 2 GB models wouldn't be worth considering over the GDDR5 models with 1 GB of VRAM. Graphics cards based on Radeon R7 250X will be available from AMD's partners starting today. However, with Nvidia rumored to be launching cards based on its new Maxwell architecture soon, you may want to wait a little bit longer before figuring out how to build your next rig.